Burns, Ishizuka and Nakamura to be recognized on March 19. The Japanese American National Museum will hold its annual Gala Dinner, Silent Auction, and After Party on Saturday, March 19, at the Westin Bonaventure Hotel and Suites in Los Angeles. 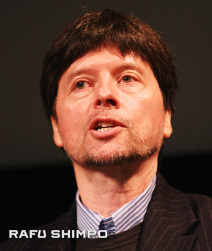 The evening’s theme will be “Moving Images, Telling Stories” and the honorees will be award-winning filmmaker Ken Burns along with Karen L. Ishizuka and Robert A. Nakamura, who, among other notable accomplishments, founded JANM’s Frank H. Watase Media Arts Center. Recognizing that film and video are powerful tools used for generations to document, reflect, and influence people and culture, JANM’s 2016 Gala Dinner will focus on the museum’s significant collection of moving images. The program will demonstrate how these compelling first-person resources, especially home movies and video life histories, have helped portray the Japanese American story as an integral part of the broader American narrative. Burns will receive the inaugural JANM Founders’ Award, established to recognize an individual or organization that advances the mission and vision of the museum’s founders in a meaningful way on a national or international scale. The founders’ vision includes, among other goals, presenting the Japanese American experience from a first-person perspective and as an integral part of America’s heritage, and encouraging appreciation for cultural diversity. Burns has directed and produced some of the most acclaimed and widely viewed historical documentaries ever made, including “The Civil War,” “Baseball,” “Jazz,” “Statue of Liberty,” “Lewis and Clark: The Journey of the Corps of Discovery,” and “Unforgivable Blackness: The Rise and Fall of Jack Johnson.” In particular, Burns’ “The War,” “The Roosevelts: An Intimate History,” and “The National Parks: America’s Best Idea” utilized the unique home movie assets of JANM to represent Japanese American experiences within the broader subject matters these documentaries examined. Burns’ films have earned 14 Emmy Awards, two Grammy Awards, and two Academy Award nominations. He received a Lifetime Achievement Award at the 2008 News and Documentary Emmy Awards. His future projects include films on Jackie Robinson, the Vietnam War, the history of country music, Ernest Hemingway, and the history of stand-up comedy. He served as grand marshal of the 2016 Rose Parade in Pasadena on New Year’s Day. Ishizuka and Nakamura will receive the inaugural JANM Legacy Award, established to recognize individuals and organizations that have made a lasting contribution to the museum’s institutional legacy and helped to distinguish the museum as a unique, vital, and valuable community resource. Ishizuka and Nakamura each played pivotal roles at JANM, especially in establishing and guiding the development of what is now the Frank H. Watase Media Arts Center (MAC). 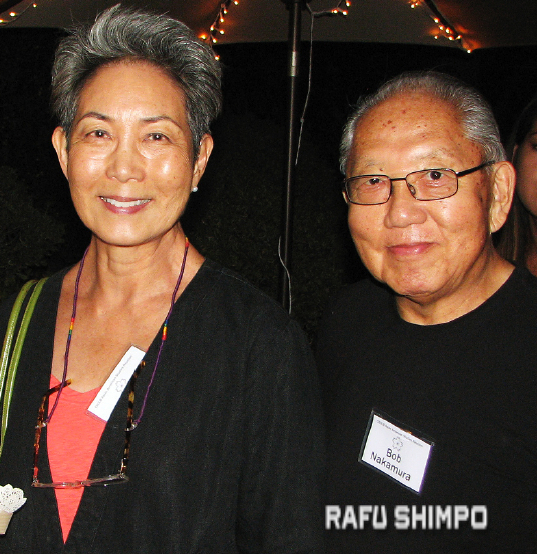 Together and independently, they have lengthy careers that have helped preserve and share the history of Japanese Americans and other Asian American communities. Ishizuka held several roles at JANM, including curator of the museum’s “America’s Concentration Camps: Remembering the Japanese American Experience” exhibition; co-founder, with Nakamura, of the Photographic and Moving Image Archive; and director of the Media Arts Center. Ishizuka is the author of “Serve the People: Making Asian America in the Long Sixties” (Verso Press, 2016) and “Lost and Found: Reclaiming the Japanese American Incarceration” (University of Illinois Press, 2006), as well as co-editor of “Mining the Home Movie: Excavations in Histories and Memories” (University of California Press, 2007). She served on the National Film Preservation Board and was one of the first people in the U.S. to study and advocate for the historical and cultural significance of home movies. She successfully lobbied for the inclusion of home movie footage shot at the Topaz, Utah incarceration camp during World War II on the National Film Registry. It was only the second home movie to be named to the annually updated list of culturally, historically, and aesthetically important American films; the first was the Zapruder film of President Kennedy’s assassination. Nakamura served on the initial community advisory committee that helped establish JANM. He then co-founded the Photographic and Moving Image Archive and served as artistic director of the Media Arts Center. Incarcerated as a child during World War II, he is considered “the godfather of Asian American cinema.” His pioneering films include “Manazanar” (1972), “Wataridori: Birds of Passage” (1975), and “Hito Hata: Raise the Banner” (1980). In 1970, Nakamura was the founding director of Visual Communications, now the oldest community-based media arts center in the U.S., and founding director of the UCLA Center for EthnoCommunications, which focuses on documenting ethnic minority communities. Together, Ishizuka and Nakamura wrote, directed, produced, and/or executive produced more than 15 videos for JANM, including “Though Their Own Eyes” (1992), a three-screen video installation in the museum’s inaugural exhibition, and “J-Town Rhapsody” (1999), an eight-screen installation for the opening of JANM’s Pavilion building, as well as the award-winning “Moving Memories” (1993), “Something Strong Within” (1994), “Looking Like the Enemy” (1995), and “Toyo Miyatake: Infinite Shades of Gray,” which was an official selection at the Sundance Film Festival in 2002. Most of these incorporated the unique home movie holdings of JANM, which the pair actively sought out for the permanent collection, and paved the way for MAC’s future productions. Ishizuka and Nakamura also spearheaded the museum’s efforts to record video life histories of the Issei and Nisei to ensure that those stories were known and shared by future generations. Sponsorship and underwriting opportunities for the Gala Dinner are also available. Visit janm.org/dinner2016 for details.